An informal area for registered members to discuss whatever they want. Remember to include contact details if you would like a personal reply and please state your name and which club you belong to at the start of your post. Well – I managed to organise speakers by county today – a mammoth task. I hope it makes it easier to look for someone suitable. If you look under “resources” then recruiting there is a leaflet template to download and adapt for your own club. You will need Word. My sincere thanks to Cirencester Probus Club for the excellent welcome given to me at the Inauguration of the Probus Clubs Reciprocal Speakers programme. 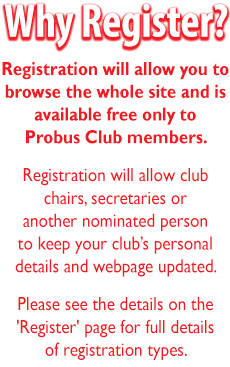 The Probus Clubs Speakers Register website allows clubs to register “amateur” speakers who would be prepared to talk to other clubs on a reciprocal basis- the talks being free of charge. The facility is available to the nearly 100 clubs in the Midlands/West Country who use the website. Introduced as a “virgin” speaker (do we want to be back there? ), the subject of the talk (the Swordfish aircraft in the early years of WW2) seemed to be appreciated & I’ve been asked back in 2017 for the second part, so it couldn’t have been too bad! I especially enjoyed talking to the WW2 bomber pilot after the meeting! Gloucester North Probus looks forward to the reciprocal talk from Malcolm Lewis in July. 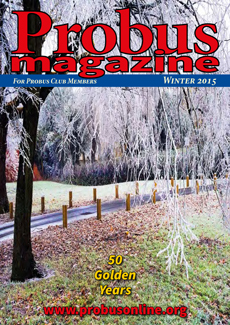 In the spring issue of Probus Magazine I noted an article by Bryan Nagle (Basingstoke). My late father Fred Martindale, recorded his war story for the BBC and in it he relates how a “stoker Nagle” saved his life. Both served on Landing Crafts and wondered if there could be a connection. Could someone please pass on the above message to your guest speaker Bryan Nagle (Basingstoke). Many thanks. Hi everyone. I am getting so many enquiries from people wishing to join a Probus Club, and so many requests from clubs to make their content visible to all, that I have now unblocked all pages on the website. This means people can contact you directly rather than have to go through me. If you have any issues with this you can block your club page if you are the registered author. When you open your page to edit it, there is a box on the right which you need to click to block your page. I think – although only time will tell – only authors now need to register in order that they can edit their pages. One of this years resolutions was to publish some details of our club on our page. Having now completed this task I look forward to increasing membership from 33 to 40+ by this time 2017. Now just 3 resolutions left to break!! Alison thanks for all your hard work, happy new year. Probus Speakers Secretaries AGM- Gloucestershire & surrounding counties. Thanks to nearly 40 clubs who met at Barnwood, Gloucester on Friday 6 November to discuss the relatively new Probus Speakers Register website & how the use of the website to promote interaction between clubs- from reciprocal visits, reciprocal speakers to the potential of joint outings. The meeting provoked lively discussion & was an excellent opportunity for clubs to get together to discuss common problems. Birmingham/Cotswold/ Swindon/Wiltshire area & would like to have access to 400 speakers & 2000 talks?- email Mike Aggleton : probus@aggleton.name to find out more of what we think is a unique facility for Probus clubs. On behalf of the Teesside Centre of the Stephenson Locomotive Society I am pleased to invite PROBUS members throughout the North East and North Yorkshire to our prestige lecture about Eric Lomax, who has recently been portrayed by Colin Firth in ‘The Railwayman’ film. This will be the ‘Eric Lomax Photographic Collection’ by Dr. Michael Bailey at the Newport Settlement Hub, St. Pauls Road, Middlesbrough TS1 5NQ (off Union Street) at 7.00pm on Friday 4th December 2015. This lecture has been delivered to and well received by a large audience in Edinburgh and is aimed at both the railway enthusiast and those with a general interest in Eric’s life. Dr. Michael Bailey is a museum consultant, author, lecturer and broadcaster on early railway history. In 1999 he was awarded the first Doctorate of Philosophy from the Institute of Railway Studies, York. He is Past President of the Newcomen Society and currently President of the Stephenson Locomotive Society and President of the Friends of the Museum of Science & Industry in Manchester. We’re from a firm of solicitors with offices in Reigate and Dorking. We’ve recently been asked by a care organisation to prepare some presentations regarding wills and powers of attorney. We thought if this group would like some information and advice there may be other groups out there too who would like this. If your clubs in and around Reigate are interested, we would be happy to give a similar presentation to your members. We could provide information about wills and powers of attorney, and give your members an opportunity to ask us any questions they may have. We would be grateful if you could pass this message on to your clubs in the Reigate area. If they have any queries or would like to chat further about our proposed presentations please ask them to give me (Jennifer) or my colleague Louise a call on 01737 233555 or 01306 776444. I am a research scientist from Aston Research Centre for Healthy Ageing at Aston University, Birmingham. We are looking to hold workshops for groups of retired people around the West Midlands in order to raise awareness of research being done to benefit older adults. We think that the local Probus club members may be interested in getting involved. 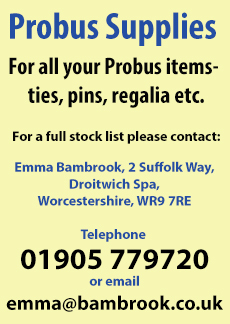 We would be very grateful if you could provide us with the contact details of the appropriate personnel of the Probus clubs local to the West Midlands. Are you trying to recruit? We have a great story this year – the movement is 50 years old and still going strong! 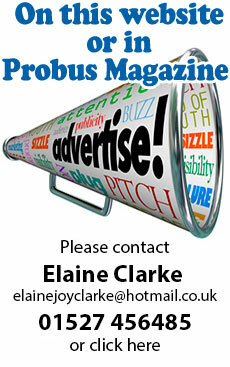 Why not send the History of Probus on this site to your local newspaper to stimulate an influx of new members. I am keen to know how many Probus Clubs there are in the Uk and set up a network. Would you be keen to assist by county? At present we in Gloucestershire have approximately 56 clubs but only 12 on this system. The other websites with details on cannot match this site. They are run down, out of date and unhelpful. Lets get a Probus Network going and give an injection into a great meeting place enjoyed by all. Great article from Mike Aggleton in the latest magazine. Last year, 66,000 children across England left primary school unable to read to the required level. Beanstalk, which is part of the Read On. Get On. coalition, aims to overcome this urgent issue through providing one-to-one reading support through volunteer reading helpers. Beanstalk reading helpers are heroes to the children they help, improving their reading ability, transforming their confidence, and allowing them to reach their true potential. Each Beanstalk reading helper supports three children and sees each child for two 30 minute sessions a week, during term-time, for three terms. With Beanstalk’s support, the child’s approach to learning and enjoying reading is transformed. 93% of all children supported by Beanstalk reading helpers make meaningful improvement in their reading ability. Calling the Isle of Man! A lady named Rosemary `mills has just moved onto the island, near Douglas, and wonders if there is a Probus club she can join. The only Probus Club with lady members on the Island is The All Island Probus Club and the Secretary is Jerry Deakin – no email unfortunately. I will email details to Rosemary. A gentleman (ex 23378546 signalman Brown R. R. Cyprus 1957-1959) is working on a project referring to National Servicemen serving in Malaya from 1940 to 1960 and awarded the General Service Medal. He believes there are many untold experiences of the Malayan Emergency and hopes to publish them as a book. If you have a tale to tell please contact him by email: roger952brown@hotmail.co.uk. a medium sized hall. one speaker would be ample. We have invested in an Adastra DT 50 purchased on line from Henrys Electronics of 91,High st., Edgewater, gtr. London HA8 7DB.TEL.02072581831. This is a table top one piece AMPLIFIER and comes with 2 wireless Mikes which can be used simultaneously. It can be run from the mains or 12v. and has its own rechargeable battery.We paid £174 but we paid extra for a lapelier mike. The set includes a free bag. We use it in a medium sized room and it is perfectly adequate. Hope this helps. 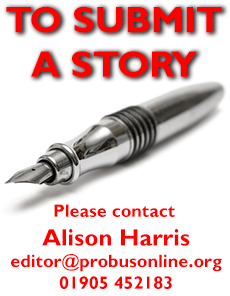 A gentleman living in Walton-on-Thames is wondering is someone could put him in touch with his nearest Probus Club. 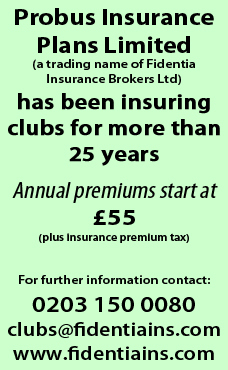 I was thinking of improving my clubs leaflet, not yours, and I can see where we can make improvements. Many thanks. Alan. We bought a Speakezy system that works very well from a company in Belper, Derbyshire. 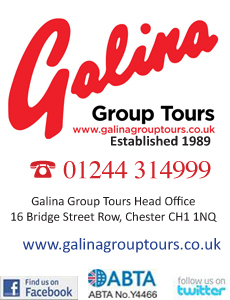 They advertise in the Probus magazine. With gradually reducing numbers we have come to realise that the advent of U3A has vacuumed up some prospective members – we have Probus members that have joined U3A but not the reverse. Another distraction is that these days Rotary membership does not cease at retirement and they are encourage to remain members. I have not been able to down load this leaflet as yet. Can correct any misunderstanding in as much as I’m looking to improve my leaflet, not one I have not yet viewed. Hi – I have received, via the website, a message from a lady living in Sunbury-on-Thames who is a former Rotary president and now wishes to join a Probus Club. Can anyone advise me where the nearest dual gender or women’s Probus Club to her is please? How do I get details/copy of your recruitment leaflet. I have produced one for our club and would like to compare and maybe improve it. Hi – it is on the website under resources. Just download it then change the bits you need to for your club. It is a Word document.